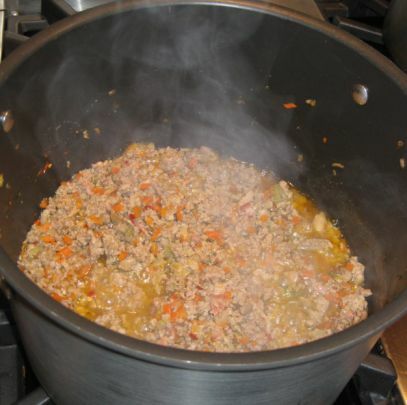 Ragù alla Bolognese (Bolognese sauce) is a meat-based sauce for pasta originating in Bologna, Italy. 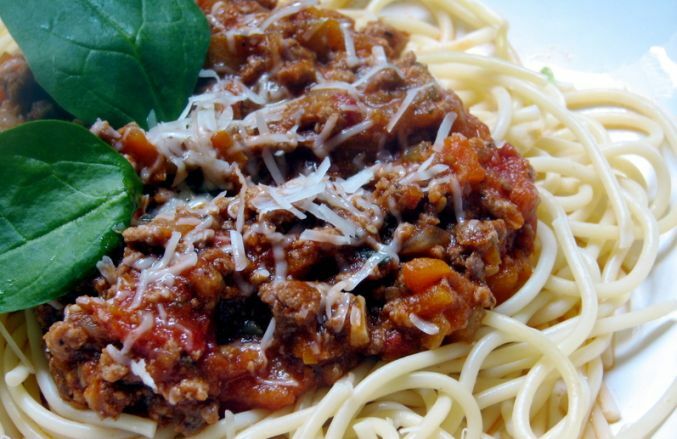 Bolognese sauce is sometimes taken to be a tomato sauce but authentic recipes have only a small amount of tomato. 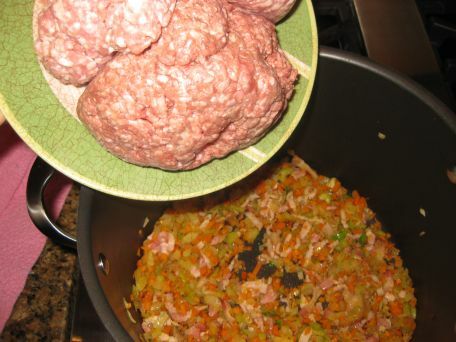 A ragù is usually made by adding meat to a soffrito (a partially-sautéed mixture of chopped onions, celery, and carrots), tomatoes and then simmering for a long time. 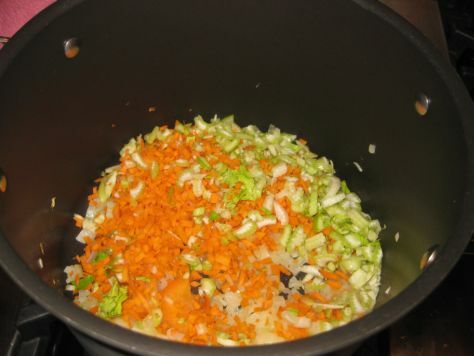 (A soffritto is the Italian equivalent of the French mirepoix). 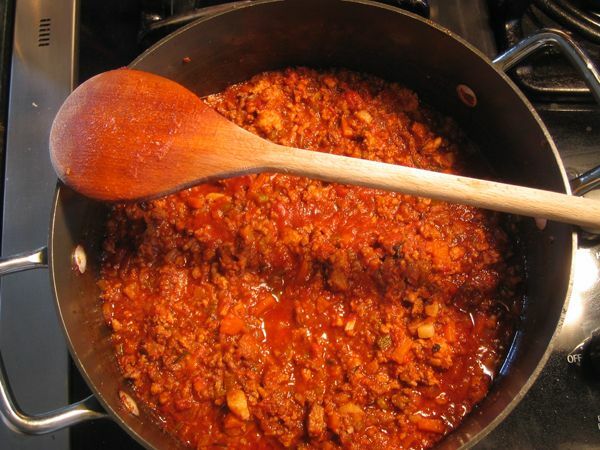 My Ragù was simmering for over two hours but if you have time you can leave the pot on a very low simmer up to 4 hours and then the taste will be heavenly!. After over two hours of simmering the Ragù was incredible tasty! 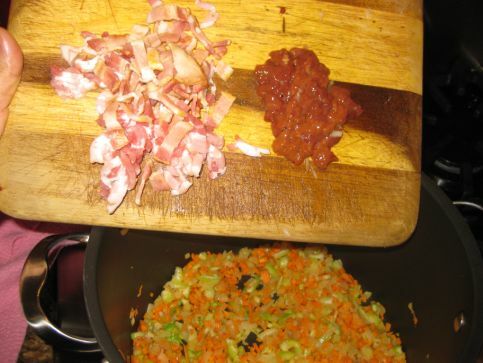 I think the bacon and the chopped chicken liver gives the Ragù a really good boost of flavor. 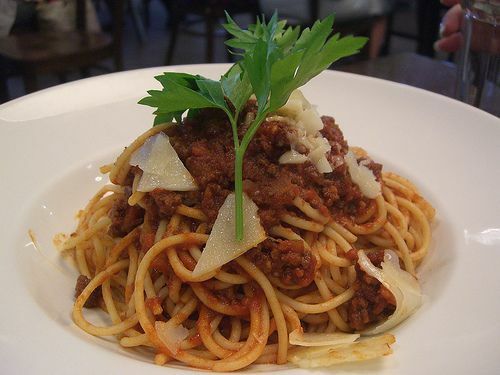 A full plate of spaghetti with Bolognese sauce! 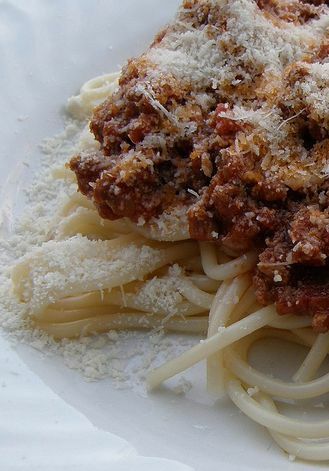 Close up look at the spaghetti with Bolognese sauce topped with Parmesan cheese. 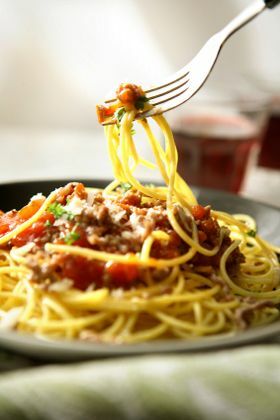 I love spaghetti so just by looking at this picture my mouth is watering! 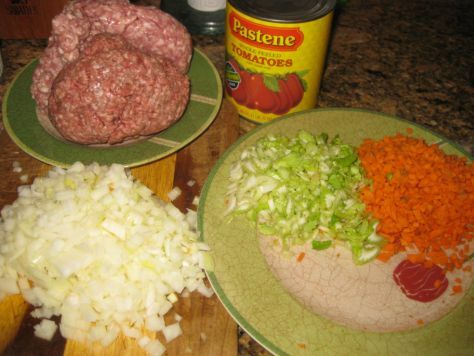 Ingredients for the Bolognese sauce: chopped onions, celery, carrot, grounded beef and a jar of tomatoes can. 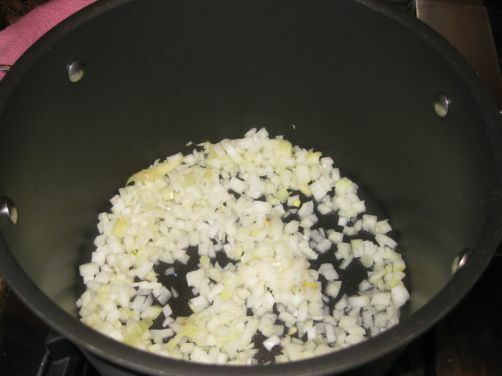 Sweating the onion until they are translucent. Next chopped bacon and chopped chicken liver are added in the pot and cooked for another few minutes. The meat is added into the pot and cooked for another 2/3 minutes. White wine is added and brought up to a boil until all the vine has evaporated, then milk is added. 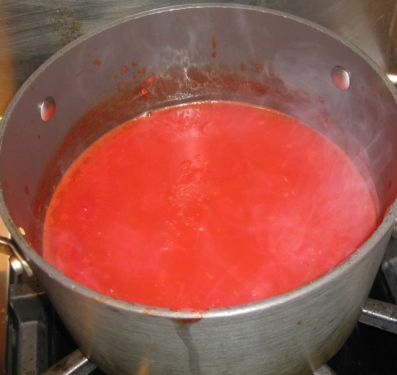 In the mean time, in a separate pan, I am heating up a can of tomatoes sauce and a can of beef broth until hot. 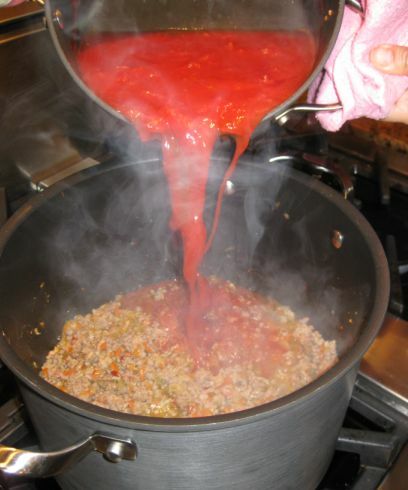 Then it is poured into the the pan and the sauce will simmer for 2 to 4 hours (depending on how much time you have) before it is ready to serve.